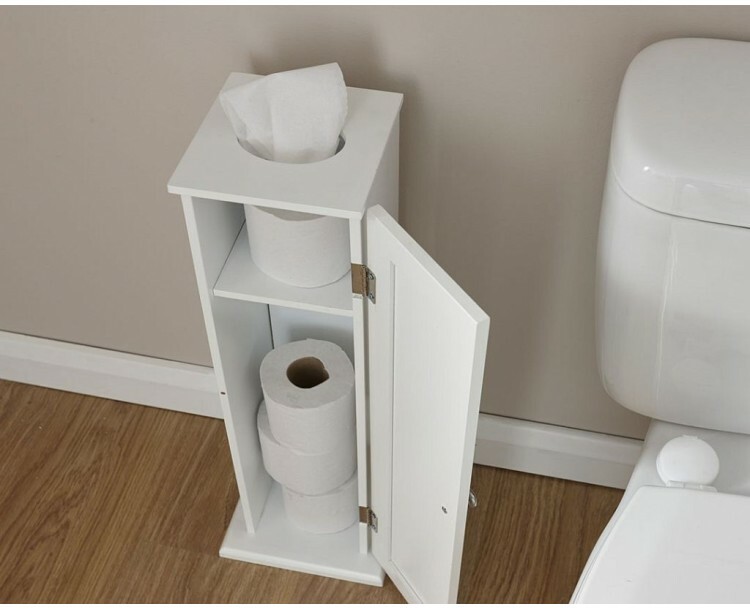 This Colonial styled toilet roll cupboard, made with durable MDF, will hold your bathroom necessities for a long time to come. 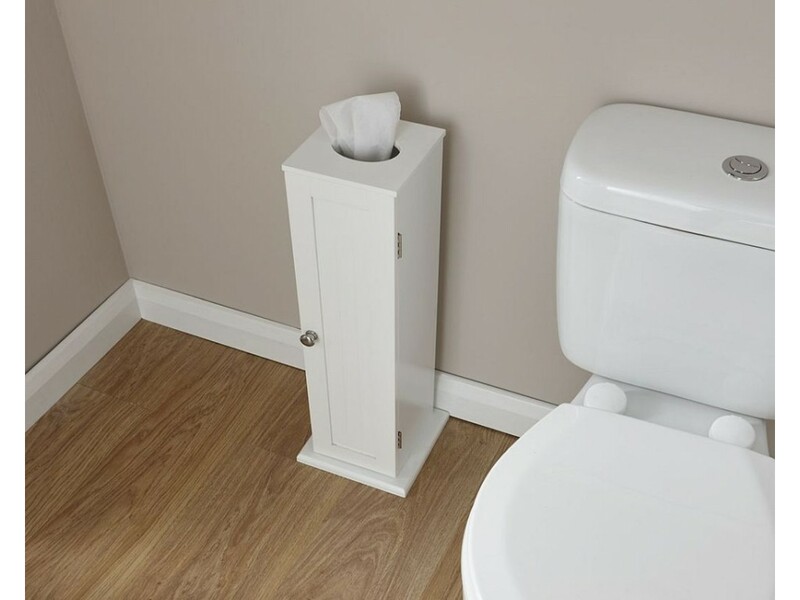 The white finish adds a hint of elegance and class to any bathroom. 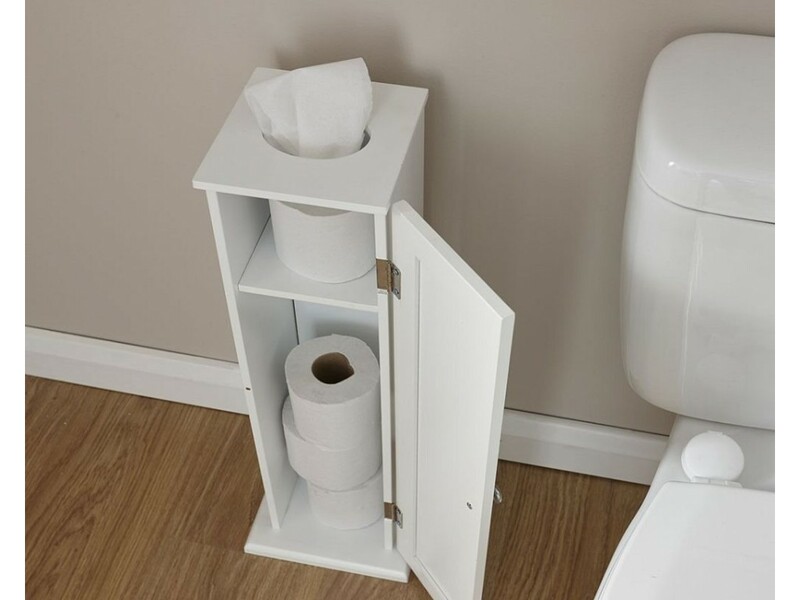 Ideal for storing toilet rolls, this toilet roll cupboard is the best way to keep your bathroom neat and tidy. Crafted with Medium Density Fibreboard and contains Chrome Handles. *Please note, only the toilet roll cupboard in the image will be sold.